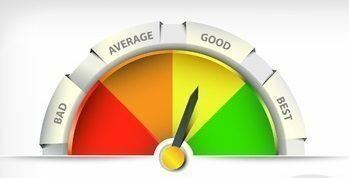 The sum of the distributions plus appreciation reflects your cash return on your investment, to date. It is a “cash-on-cash” return because you used the sum of your cash inflows in the numerator and the sum of your cash outflows (your cost) in the denominator. When you research the potential investments that you are considering for your portfolio, you might review published information regarding average annual returns on investment by class of asset, e.g., common stocks, corporate bonds, real estate investment trusts, etc. Again, these published returns are cash-on-cash performance measures because they are using the same ROI formula presented above. Yet there are other important metrics that should be evaluated when making investment decisions. Do you consider the earnings of the company’s in which you’re invested? 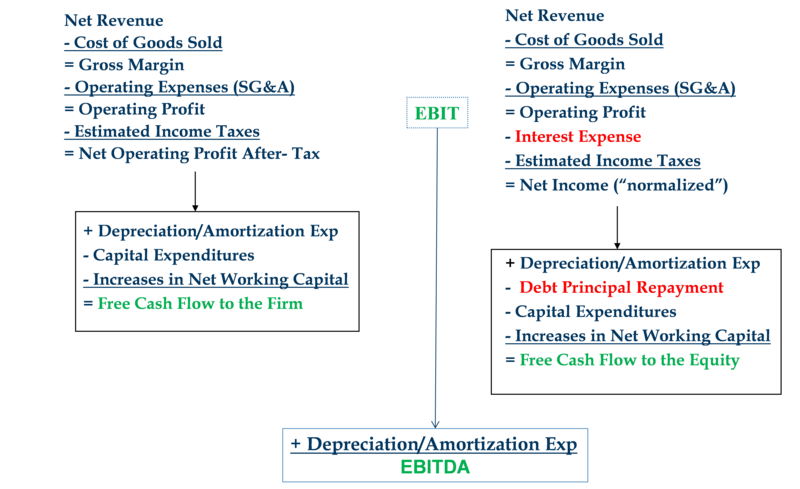 The earnings before interest, taxes, depreciation and amortization (“EBITDA“)? Where does EBITDA or net income factor into the performance of your investment? In this article, I will explain the difference between earnings and cash flow, why the difference is important and how it impacts investment analysis, company financial performance measurement and valuation. For information on fraudulent transfer and preference attacks, we recommend this webinar. What does it mean when your investment advisor says, “Your investment in Apple has done well”? If you are a shareholder, it probably means that the ROI over your holding period (the period from the beginning of your investment to the measurement date) has been better than the market. It is the ROI that matters but is 5.0% good? 10.0%? 15.0%? ROI requires a benchmark to determine whether the investment has performed well or not. So, it’s easy to understand how an investment might be considered “good” when it is earning a ROI greater than the comparative benchmark. 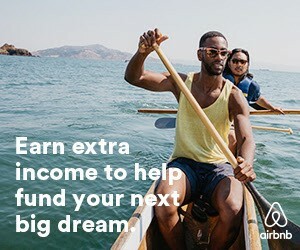 But is it increasing the investor’s wealth? How does the performance of the company relate to the performance of your investment? 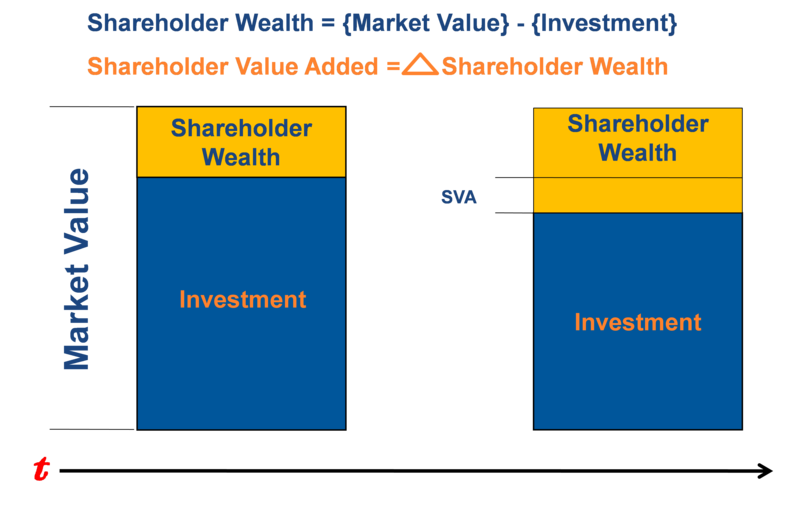 How do companies increase shareholder wealth? What is the most important measure of a company’s performance, EBITDA or cash flow? To begin, let’s clarify the difference between the investment and the company. Investors provide cash directly in the primary market in exchange for an investment interest. For a public company, this is often an initial public offering, or a corporate bond offering, for example. Those investments, stocks and bonds, are then traded in the secondary market, typically on an exchange that provides liquidity to the investors. For a private company, the direct investment may still be in the form of stock or bonds but it more often may take the form of a “flow through” equity interest such as a partnership, limited liability company, S corporation interest or a direct loan from a bank or other lender. These private investments generally do not provide the liquidity of an exchange and may have restrictions on sale in the secondary market. However, in both cases, the cash capital raised by issuing investment interests is used by a company to acquire the necessary assets to operate and grow. The company’s aggregate invested capital (“IC”), includes all forms of capital issued by the business, debt, equity and hybrids such as convertible bonds. The IC is equivalent to the cumulative value of assets (tangible, intangible and goodwill) less operating liabilities (non-interest bearing claims such as accounts payable and accrued expenses). The relationship between assets, liabilities and owners’ equity is depicted below. 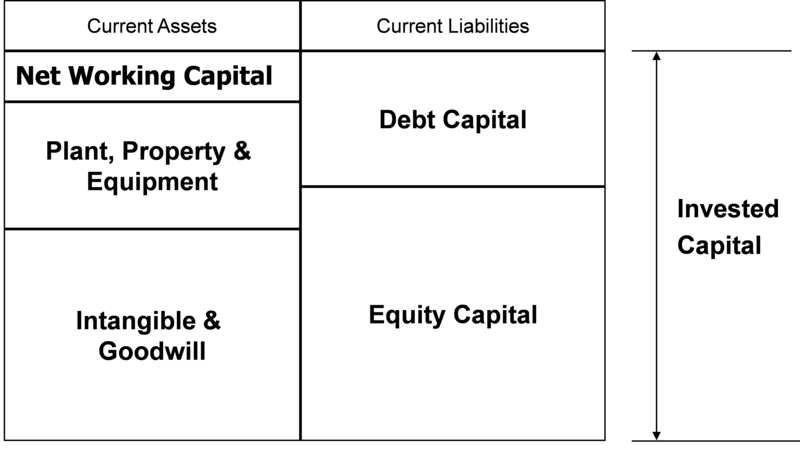 As the business increases in value, the IC increases in value, although each component or class may or may not grow or decline in value depending on its characteristics. The value of the IC is directly related to the ability of the assets to generate cash-on-cash returns through their continued operation or through their sale. From an accrual accounting perspective with respect to the historical financial performance of the company, earnings are reported on the Income Statement and cash flow is reported on the Statement of Cash Flow (aptly named). EBITDA is not reported anywhere! It is not an accounting measure required under U.S. generally accepted accounting principles for accrual accounting. A somewhat simplified explanation of accrual accounting is that revenue or sales are reported when delivery of the product/service is substantially complete, not when cash is received as in cash accounting. Costs are categorized as either revenue expenditures or capital expenditures. Revenue expenditures are costs incurred to generate revenue during the same period of measurement in which they were incurred. Capital expenditures are costs that will contribute to revenue over more than one period. The matching principle of accounting requires that capital expenditures are spread across the periods in which the associated revenue is reported. Therefore, capital expenditures are charged against revenue as depreciation or amortization expense over the number of periods in which they contribute to revenue. These are often referred to as “non-cash” expenses because the cash is disbursed in a prior period and when the expense is reported, it is no longer reflective of an actual cash expenditure during that period. EBITDA is a measure that is intended to provide a sense of the ongoing operating earnings of the company without consideration of the impacts of the tax structure, capital structure (financial leverage) or capital intensity (operating leverage). Therefore it is a measure that excludes income tax expense, interest expense, depreciation and amortization expense. Those items highlighted are the differences between the two measures: income taxes, capital expenditures and changes in net working capital. FCFF includes the consideration of tax structure and capital intensity, but similar to EBITDA, it does not consider financial leverage. FCFE has the additional difference in that it considers the impacts of financial leverage on performance and for that reason is typically only used to determine the investment performance and/or value to equity investors. So you can see that EBITDA does not necessarily provide any indication of how well an investment in the equity of a company is performing because it is a measure related to IC and does not consider the impact of leverage. Some companies choose to provide their investors with an unaudited measure of EBITDA or “Adjusted EBITDA” in their annual reports as supplemental information because it is a popular performance measure of the overall company or IC. The adjustments vary by company. For example, they might be for unusually large operating expenses that are not expected to continue at such a level or the adjustments might be made to provide a more comparative snapshot of the company’s current performance with prior years. Should a company focus its efforts on increasing EBITDA or cash flow? Neither is the “silver bullet”. We saw earlier that investment performance needs to be considered relative to a performance benchmark and we provided the explanation of ROI, a cash-on-cash return measurement. Because EBITDA is not cash flow, there is no available investment benchmark of rates of return that relate to EBITDA. EBITDA margin (EBITDA/Revenue) can be measured in each period and compared to historical performance or to a cross-section of similar companies, but there is no direct link between EBITDA and positive investment performance. The value of a company is increased if and only if the company earns a return on its IC that is greater than the required rate of return of investors. This required rate of return is called the “cost of capital”. Measuring the cash-on-cash return for the company or IC entails a consideration of the cumulative past investment of the company in current monetary equivalents, i.e., current purchasing power of the currency, and the sustainable annual cash flow. Looking back at the diagram of FCFF above, the capital expenditures and increases in net working capital would be additions to the IC rather than deductions from the net operating profit after-tax. The depreciation and amortization expense would be added back to net operating profit after tax and that measure of economic profit divided by the IC measured in current purchasing power would provide a company based cash-on-cash return. That measure can be compared to the company’s cost of capital to determine whether value has increased or not. To increase the value of the company, it is necessary to earn a cash-on-cash return greater than the cost of capital. The key focus of increasing value should be maximizing the sustainable cash flow relative to the cash investment. A company’s decision whether or not to reinvest cash is an important decision impacting the value of the company. For each dollar of cash reinvested, it must earn more than its cost of capital to increase value. There is no such benchmark of value creation for EBITDA. Following the same concept, it can be shown that a company may be able to increase the wealth of its investors without increasing the value of the company. As previously discussed, generating sustainable cash flow relative to IC at a rate greater than the cost of capital is the key to creating value. But the rate of sustainable cash flow relative to IC can be increased also by reducing the amount of IC necessary to sustain the current level of cash flow. By reducing the amount of capital required to sustain the cash low level of the company, the company is able to return capital to its investors. 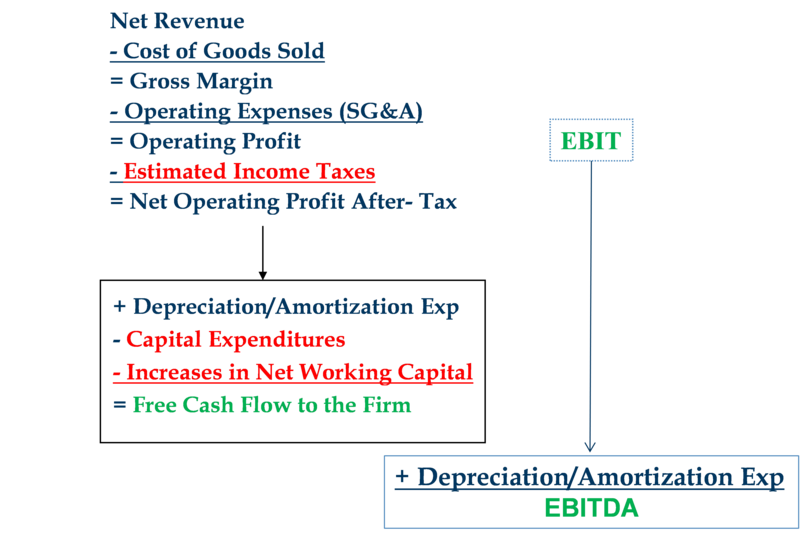 EBITDA and cash flow are two measures of financial performance of a company that are useful in understanding the ability of the company to generate value for its investors. The measures are similar in some ways but different enough to make a significant difference in investment decision making. Only sustainable cash flow relative to the amount invested is a true measure of financial performance that when paired with the correct benchmark, the cost of capital, provides a true indication of whether the company is creating value or not. If you liked this article, we also recommend this webinar and this webinar on business valuation. You may also be interested in this webinar. All from the expert faculty of Financial Poise.